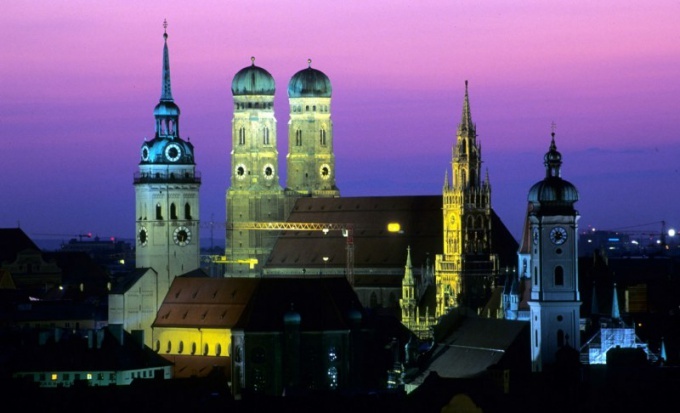 Munich is considered one of the most attractive in terms of tourism German cities. The capital of Bavaria is situated not far from the Alps on the banks of the river ISAR. The citizens of Russia to visit Munich, you need a visa. Cost 35 euros. At the German Embassy in Moscow to obtain a Schengen visa for a stay up to 90 days and a valid less than a year, as well as national German visa. The easiest way to get to Munich by plane. Every day flights to Munich carry out such airlines as Aeroflot, AirBerlin, Germanwings, Germania Express , Lufthansa, S7. The flight time is slightly more than 3 hours, the ticket price from 6000 rubles. There is a possibility to save on flights by choosing the route with a stopover. The cheapest flight cost from 4000 RUB through Kiev. Every year there are special seasonal offers to buy tickets direct flights from 3000 RUB. Passengers taking the airport Munich Franz-Josef Strauss, which is located 28 kilometers from Munich, near the University town of Freising. To Munich from the airport can be reached by bus, taxi and train. Last option is the most convenient, as passengers arrive at the Central station in 40 minutes. To Munich from Moscow can be reached by train. No direct trains, so travelling by rail will transplant in one of the cities of Europe. Most popular routes with transfers in Berlin, Prague, Frankfurt-on-main, Mannheim and Hanover. For road routes to Munich can be reached in 28 hours, breaking the 2700 km through the territory of Russia, Belarus, Lithuania, Kaliningrad region and Poland. Some motorists most optimal route, consider the path through the region, Warsaw, Krakow, Wroclaw, Prague, Plzen. Munich – a city inhabited by over a million people, one of the most developed cities of Europe. The city is rich with attractions including the Marienplatz – Munich's main square, named after Saint Mary. Other popular is also the oldest parish Church Peterskirche, the city's main Cathedral, the Palace complex of Nymphenburg, Olympic Park, built for the games in 1972. Also worth visiting is the brewery Museum and the BMW Museum, English garden and zoo District. Well, the annual beer festival that attracts many tourists.